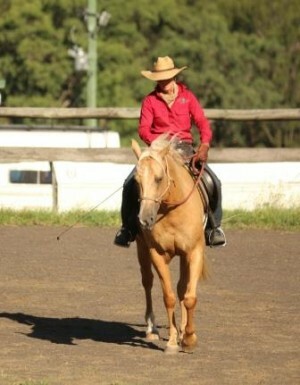 Develop your ground skills, communication and connection with your horse and develop your riding confidence, communication and balance. 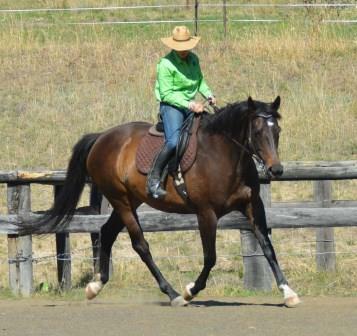 Participants in this course will have needed to have previously attended an Introductory workshop or clinic with me or they may request permission to attend by submitting a video of themselves working with their horse on the ground and riding. Please email me for details regarding this. We will begin by reviewing, expanding and improving upon the concepts learned in the Introductory course and previous Intermediate Courses. 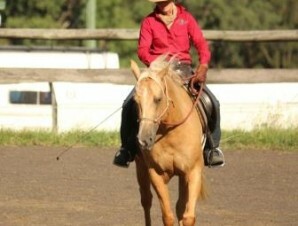 Learn about positive reinforcement and how horses learn. Learn how to train their minds as well as their bodies – breaking things down into simple concepts, clear patterns and then adding in smaller details. Advance the ground skills with more precision, more responsiveness and with a better understanding of the biomechanics of the horse. Subjects can include exploring transitions, changes of direction, sideways, longer lines or learning about liberty. 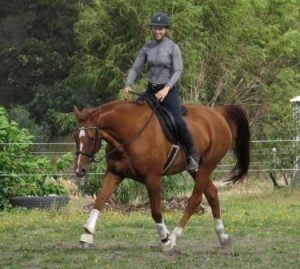 Learn exercises to improve rider balance and learn more details about riding dynamics and how to flow with the horse in perfect harmony. 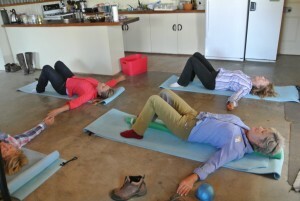 Work on your own body balance, fitness, mobility and awareness. Some more specific areas of learning will be the following, with the focus directed specifically toward the needs of the horses and riders attending. 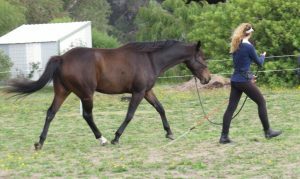 Using ground skills as a diagnostic tool and for physical therapy for your horse. Developing correct biomechanics and balance for horse and rider. Of course if you can bring your horse along your learning will be maximised as nothing beats hands on experience and having direct feedback from a supportive instructor to accelerate your learning. However the other option for attending these courses is to come along as an auditor (that is a participant without a horse) where you will participate in all of the theory sessions, Q & A sessions, most of the body awareness and balance sessions and simulations (although this may depend on numbers as some of these sessions might need to be restricted to those bringing horses), watch the demonstrations and observe those with horses experiment with the exercises and tasks. The cost to come with your horse is $595 for the 3 days if you pay a 50% deposit before Feb 1st after that the price is $695. The cost to come without your horse is $95/day – this includes participating in the body awareness sessions and simulations, theory sessions and questions and answer sessions. You are not just a fence sitter at these courses. 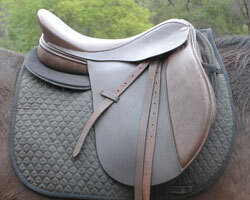 Saddle fittings and opportunities to test ride the BALANCE saddles are available on request. Saddle fittings sessions take 1 1/2 to 2 hrs. and cost $150. They involve riding in your own current saddle and experimenting with padding arrangements and or adjusting gullets if possible to see if we can improve things with your current saddle. We then test ride a BALANCE saddle to use as a comparison to get feedback about how well your horse moves in its own saddle compared to a saddle that is known to be ergonomically designed for horses and riders. If your horse did prefer the BALANCE saddle and you were possibly interested in purchasing one, we would then test ride several different models of the BALANCE saddles to see exactly which one is the best for both horse and rider. Interlaced into this is advice on riding and biomechanics for horse and rider as required and as appropriate to the level of experience of the horse and rider. To get more details, to book a saddle fitting session or private lesson, please email me – mel@melfleming.com.au or call 0428 385 745. Letting me know as soon as you can if you are interested in one of these sessions will help me schedule things to make sure I can fit you in.